I want to go to Fingal's Cave (It's awesome) and I was looking what options to I have. So, I find a tour that departs from Oban it seems nice, but, is there any other option to go there by myself. I am not very keen on guided tours, but I really want to go there! so any ideas? or do I have to go with a group to reach my destination? @Vanessa I look forward to hearing about your adventures on Staffa. We're off to Mull & Iona shortly. Love the islands too. Will check out your blog. Mine has been up and running since Dec last year and I'm really enjoying it. I started as I'm always getting asked about Scotland so I figured I might as well start writing down what I know. Ps Casper says thank you. @Vanessa Good luck - let me know if you need any accomodation tips for Mull. I can recommend a couple of good value places to try. @Vanessa As said you'll pretty much need to go on a guided tour to get to Staffa. One piece of advice I'd give is try and get an "early bird" sailing from Iona. We did this last August bank holiday weekend and despite it being a beautiful day there was only about 16 people on board. Later on that day the boats were far fuller! Thought I'd share a photo of Fingal's Cave taken yesterday during an awesome sea swell. The sound was deafening. A strong stomach and good sea legs required but it was wonderful seeing the sea raging. We took the early bird tour from Mull with Staffa Tours. They were excellent - professional, friendly and informative plus they're dog friendly too. @Vanessa Can highly recommend the Three Isles Tour with West Coast Motors from Oban. We visited in September and it wasn't too busy. Got a good look around Iona and on Staffa. Hope you have a great time. @Samantha_Grant @MDHarding I could get it!! I went there on September, it was pretty cool actually, thanks for the recommendations!! Edit: realized @Vanessa has already visited but putting in info so someone else stumbling into this thread. If you're an avid sailor, I do know some folk who took their own boat to Staffa amid choppy waters. 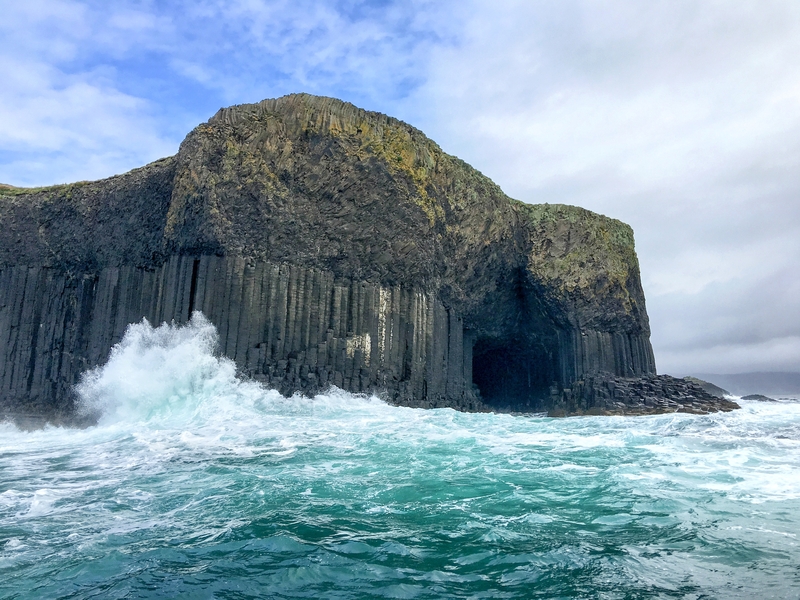 But apart from that, the tours mentioned above as well as the Staffa Trips tour from Fionnphort are the best way to get to Staffa. I believe Staffa Trips has sailed their last for this season. 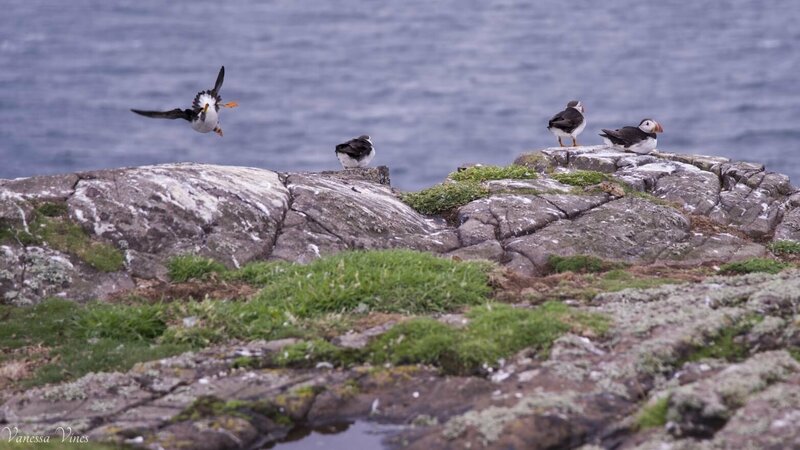 I'd actually recommend going to Staffa during puffin season (June-Aug), they are such adorable birds. Here's a puffin shot from when I'd visited Staffa. 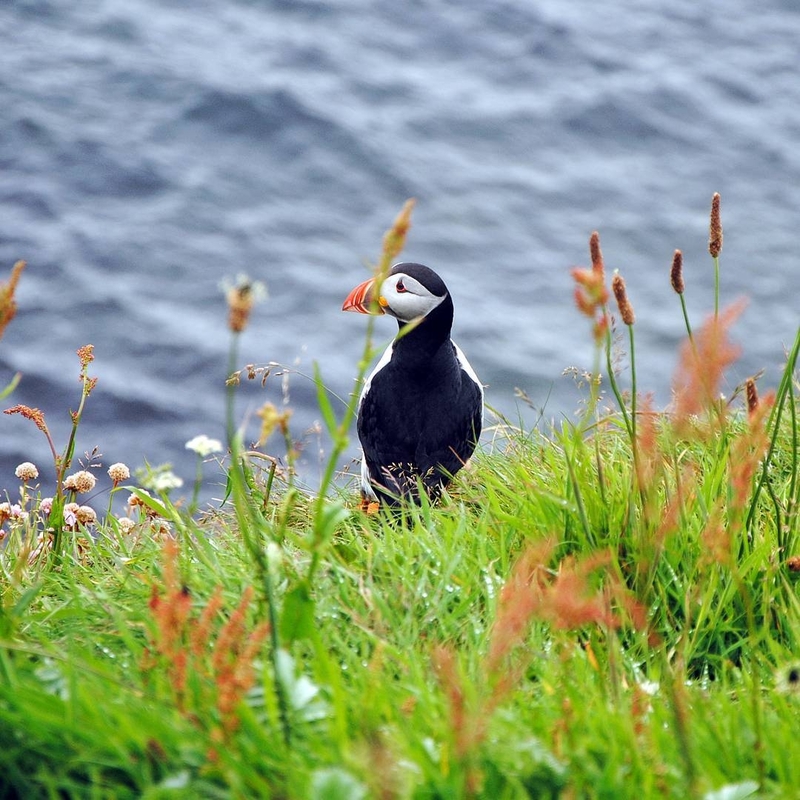 @Horizons Thanks for the info on when the best time to see puffins is and great picture! Completely agree, those wee things are adorable!! I saw them during August (lat year) in Isle of May, it is worth to go and see them!! It is quite funny as well if it's a windy day!! look at the one on the left, hehe he was having fun there! @Vanessa Excellent - so glad you managed to visit.